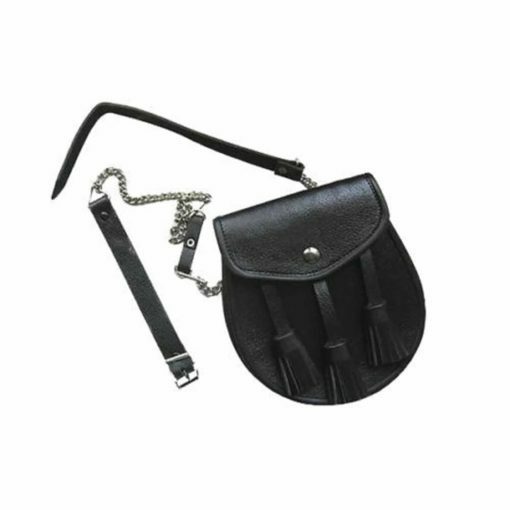 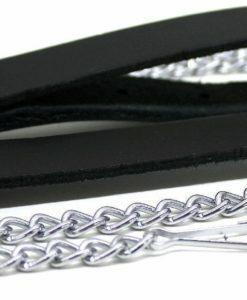 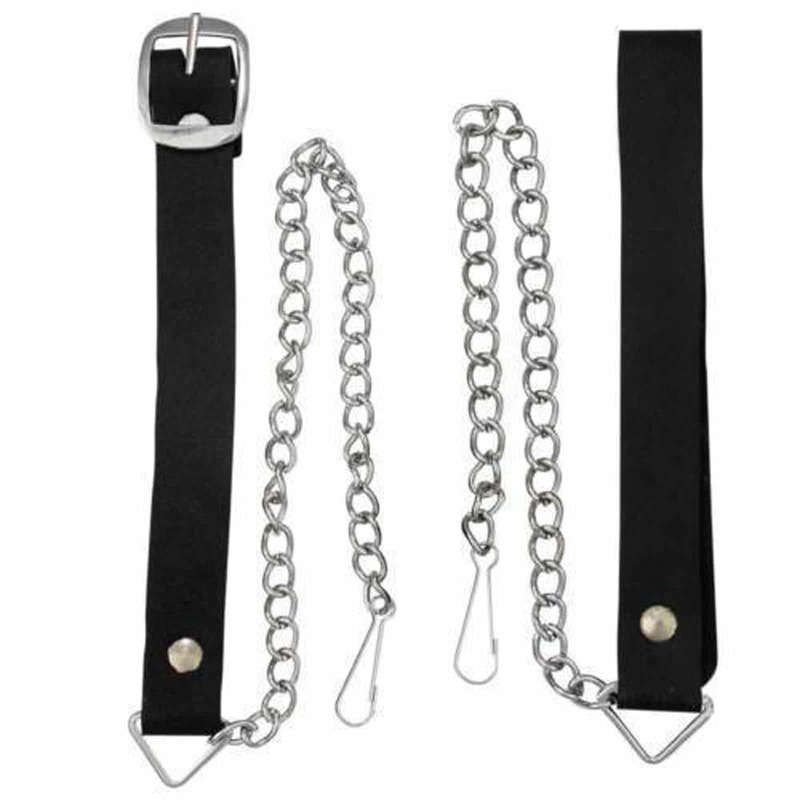 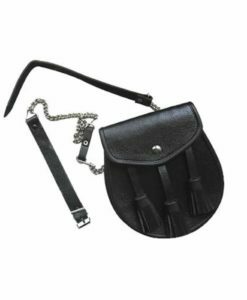 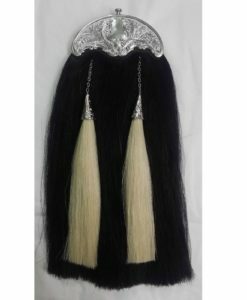 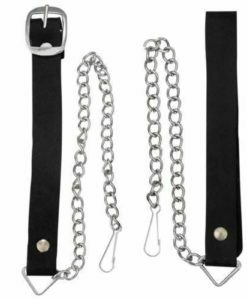 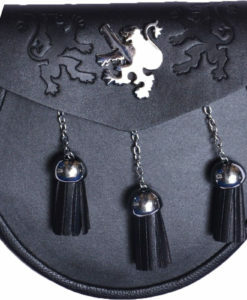 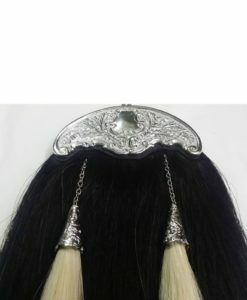 3 Tassel Black Leather Sporran and Belt is manufactured using 100% Genuine leather and chrome chain. 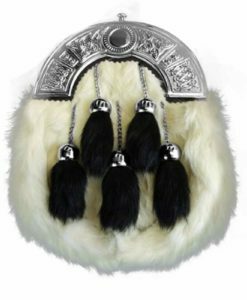 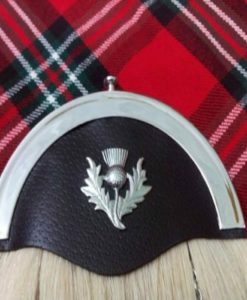 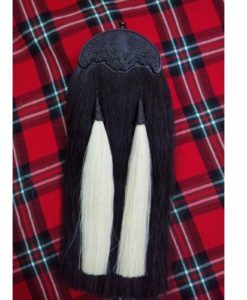 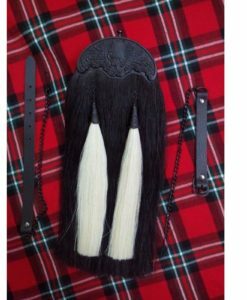 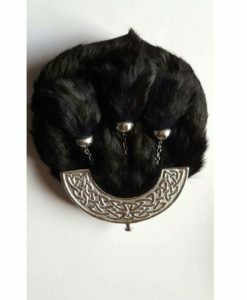 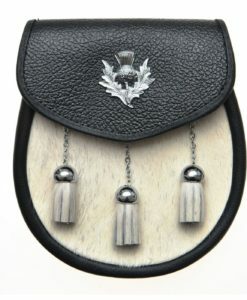 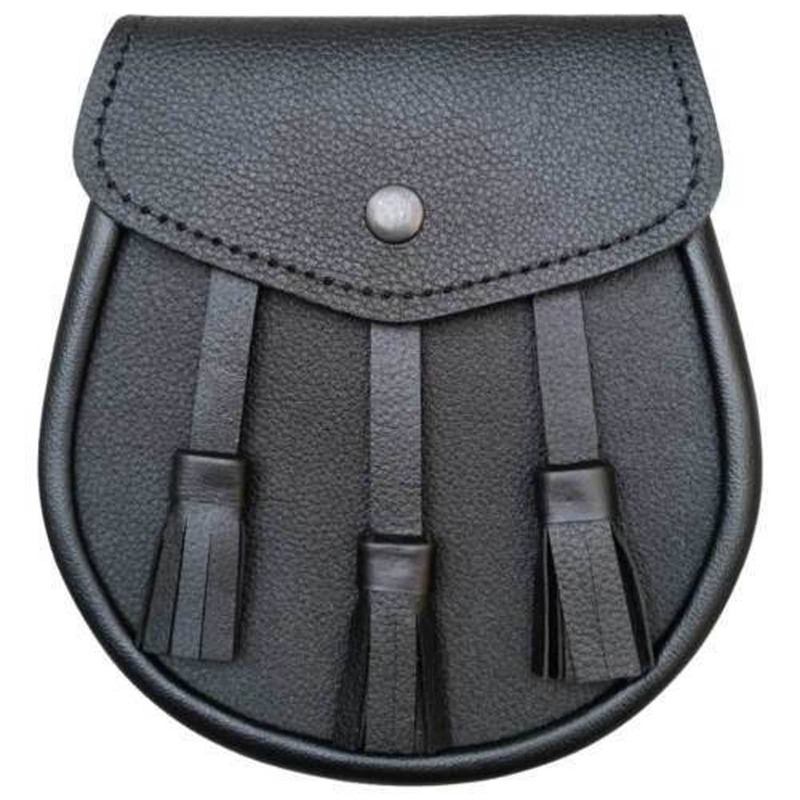 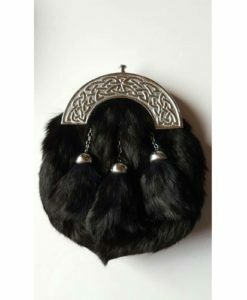 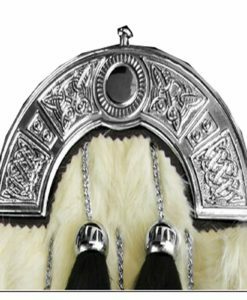 The original rust-free buckles are used on the belt of the Sporran which can go with any kilt. 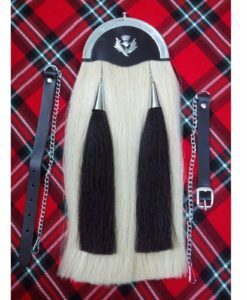 There is a proper piping given for longer durability. 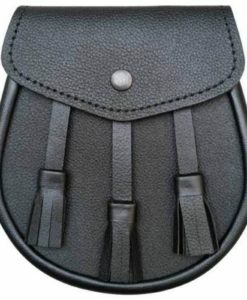 There is one black button on the center of the sporran given for fastening.